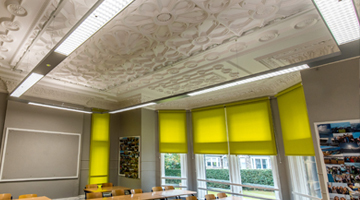 This project involved a total refurbishment and rewiring of a computer suite within Sheffield University. The works included a new submains and distribution board, new containment throughout and a full rewire of all small power and lighting. As this area is used for exam conditions all screens were controlled by 1 master switch. All the lighting is dimmable in groups again at the lecturers’ location. Emergency lighting and fire alarms were also altered to suit the new layout. New data and AV installations were installed to complete the full electrical refurbishment onetime, budget and to the clients satisfaction. This is some informaton about some of the recent projects we have done.